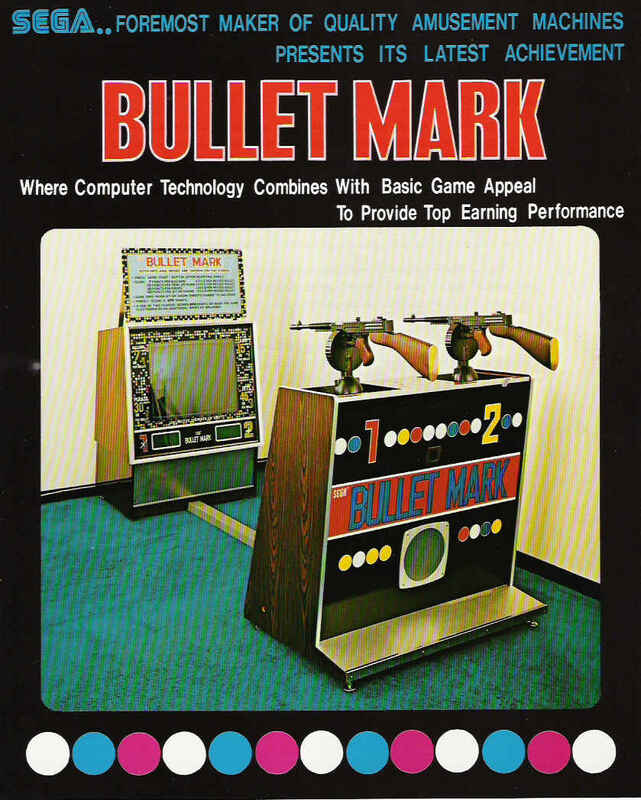 Description: Bullet Mark, Sega, 1975, twin guns. Four series of targets appear sequentially on an oversized TV screen (balloons, tanks, pirates and jet aircraft.) 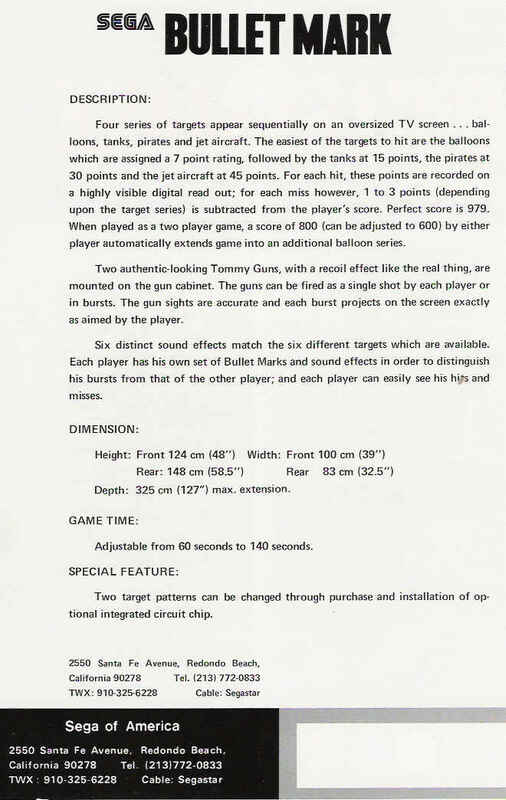 Game time adjustable from 60 to 140 seconds.